Black Friday is not exactly around the corner, but after holding a massive sale on everything from mid-range to high-end smartphones, Echo smart speakers, smartwatches and mobile accessories, Amazon (quietly) strikes again with a compelling discount on a very well-reviewed Android handset. 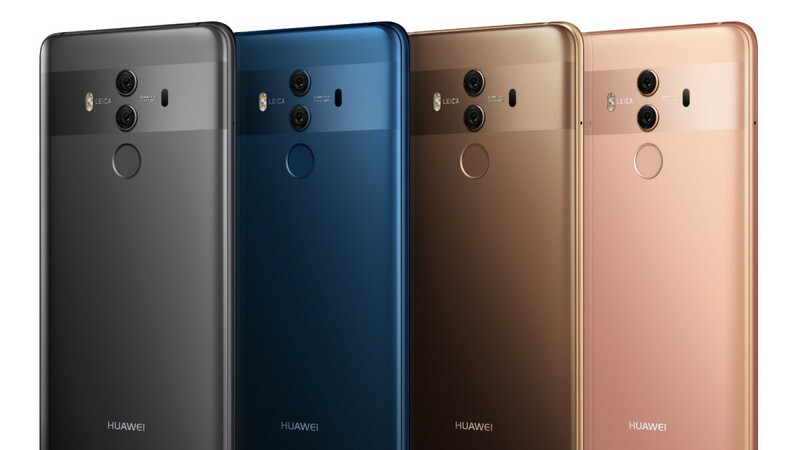 This fresh Huawei Mate 10 Pro deal doesn’t appear to be aggressively advertised, but it is backed by at least one other high-profile US retailer. B&H Photo Video also attaches a July 24 expiration date (yup, tomorrow) to the Prime Day-level offer, although Amazon may or may not kill the deal at the same time. You can choose between “Titanium Gray” and “Mocha Brown” flavors of the heavily marked-down 6-inch powerhouse right now, while the “Midnight Blue” version is already sold out, with more units “on the way” if you’re willing to place your B&H order today and wait up to two weeks for a delivery. Across the board, the unlocked Huawei Mate 10 Pro fetches $499.99, which is technically $280 off list, but really only 50 bucks lower than the phone’s typical price over the past few weeks. What’s important to keep in mind is not how much you’re actually saving, but rather all that you’re getting in exchange for your five Benjamins. We’re talking a beautiful, extra-large AMOLED screen with no iPhone X-inspired notch, a fast and furious Kirin 970 SoC including built-in AI capabilities, multitasking-friendly 6GB RAM, a whopping 128 gigs of internal storage space (no microSD support, though), hefty 4000mAh battery, and two very capable Leica-optimized rear cameras. Granted, the Huawei P20 Pro has three, but it’s also not officially available stateside, and it will never be. That goes without saying when comparing to the best. Your point? I got this phone on prime day but I am returning it. I am not sure if it’s my unit but the camera is horrible on video recording. Pictures are good but video is not clear even on 4k. Experience on this phone has been awesome. Loved everything on the phone except the camera. Thanks. Now I don't regret returning it. Maybe I'll try the OnePlus.